Originally posted by Business News Daily 12-18-15. One of the biggest mistakes you can make as a leader is thinking you always need to have the answer. Yes, people look to you for guidance, but part of guiding a team means helping them learn and discover solutions for themselves, rather than feeding them the “right” answers — which may not even be right at all. Instead, you should strive to be curious, open-minded and inquisitive, which will in turn drive your employees to do the same. 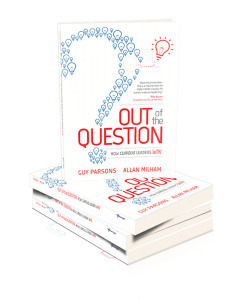 In their book “Out of the Question: How Curious Leaders Win” (Advantage Media Group, 2014), co-authors Guy Parsons and Allan Milham discuss two types of leaders: knowers and learners. Knowers draw their authority and strength from their titles, education and experiences — they allow their background to speak for itself. Learners, on the other hand, are more vulnerable. They know they don’t know everything, and are willing to collaborate with their teams to find the answers. Parsons agreed that generational differences have pushed modern leaders toward a learner mindset, noting that corporate loyalty isn’t what it used to be. Leading with a learner mindset opens you up to a wealth of different perspectives that may help you find the most effective solution to a problem — because your way may not necessarily be the best way. Walt Rakowich, a leadership speaker and the retired CEO of Prologis, said that teams want a leader who is empathetic enough to listen and decisive enough to act. A learner mindset demonstrates these qualities, and, more important, creates an environment of trust. “Trust is the single most important ingredient to successful leadership because it creates the conditions for teams to work together in a supportive and open culture, ultimately increasing employees’ confidence in the leadership and the success of the company,” Rakowich said. Additionally, learners tend to create a positive, collaborative environment where all employees feel like valued contributors. Ready to embrace the learner mindset? Here’s how to lead with a more open, curious attitude. Practice self-awareness. Being self-aware is the first step in moving toward learner leadership. Parsons advised using the “fishbowl technique” — remove yourself from the moment and look at your words and actions from an outside perspective. Value honesty. Charles Silver, CEO of data analytics platform Algebraix Data, said leaders should be focused most on reality, and the best way to do this is with brutal honesty, where everyone is encouraged to challenge orthodoxy and others’ opinions if they don’t agree. Get comfortable with not knowing. One of the hardest things for leaders to say is, “I don’t know,” Zhong said. But uncertainty about a situation isn’t a flaw or a shortcoming — it’s an opportunity. Two generations ago, during a time when college education and professional training was sparse, contributors who met both requirements were often the ones filling out leadership positions throughout the country. Hierarchy was well defined through top down management systems, meaning decisions were concentrated and centralized, leaving only a handful of individuals in charge. The pace of business has clearly accelerated in the last 15 years. Instantaneous communications, technology and collaboration tool combined with an ever increasing percentage of college-educated workers has truly changed how leaders can and should interact with their employees. Leaders can choose to evolve as their employee base grows and evolves, or they can continue trying to lead with a traditional command and control style.